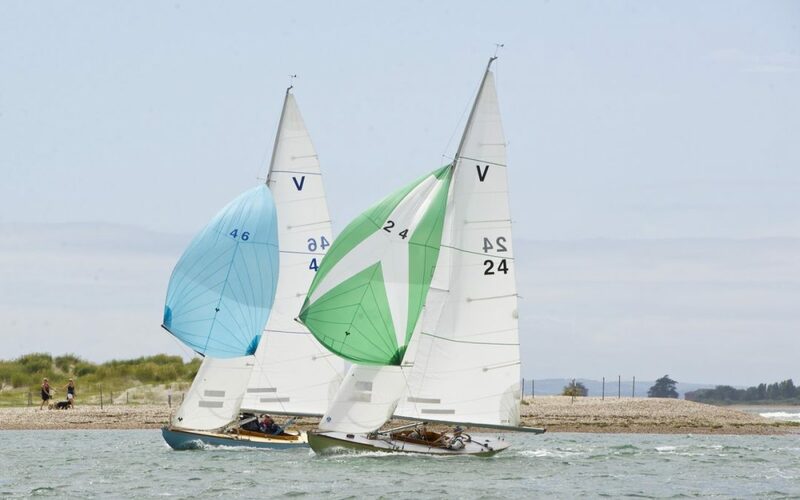 The first weekend in May will see the historic Sunbeam fleet of classic keelboats from Itchenor take part in the Chisholm Weekend, which comprises intensive back-to-back races competing for the Chisholm Weekend Trophy. The event is always well-attended as it is the first weekend of two-day racing in the popular Solent Sunbeam Class calendar of racing and it is likely to be particularly well-attended this year since the class is celebrating its 95th anniversary. The Chisholm Weekend is in its 30th year and is held in honour of Sir Henry Chisholm. It was in 1957 that Sir Henry Chisholm bought Sunbeam V24 Fay from a boatyard in Bosham and restored her to racing class condition. He simply ‘fell in love with her classic lines’. In 1964 he was elected the Solent Sunbeam Class Captain, a post which he held for 11 years during which he became a central figure in this important yacht’s history, hence the commemorative weekend of racing taking place in May each year named after him. In the early 1960s, the Solent division of the fleet was only managing to turn out 3 or 4 out of a total of the 8 or 9 Sunbeams on the water at the weekly races held at Itchenor Sailing Club, and membership of the class had dwindled to its lowest levels. The organisation of the class was haphazard and amateurish and there was no overall plan or direction. However, from the moment Henry became Class Captain, this all changed and under his enthusiastic leadership the Class was completely reorganised and revitalised. By the end of 1971, Henry began making plans to celebrate the 50th Anniversary of the launch of the first Sunbeam in 1923. Tremendous change and progress were made with the class while Henry was at the helm; not only did he race regularly at Itchenor and Cowes Week but in addition to his work on revitalising the Sunbeam Class, he also served as Commodore of Itchenor Sailing Club from 1966 to 1969. During his Captaincy, Henry rescued many of the fleet from oblivion, finding hulls in obscure locations and ‘encouraging’ a significant number of new owners and regular racers into the class. Sir Henry was also instrumental in the amalgamation of the Solent and Falmouth divisions of the fleet into one Sunbeam Class. Sir Henry also successfully pursued his vision of resuming the building of new Sunbeams. The original plans for the boat had been lost in a fire after WW2, but Sir Henry commissioned, at his own expense, new plans which were taken off the lines of one of the existing boats. He subsequently donated these plans to the Sunbeam Solent Division so that new boats could be built to the original specification. The first of the new builds, Sunbeam V40, was built in 1976 in Cornwall with V41 built shortly after, to be finished by George Haines & Sons of Itchenor. The Chisholm Weekend will take place on 5th & 6th May 2018 at Itchenor Sailing Club. Read more on our Events page.